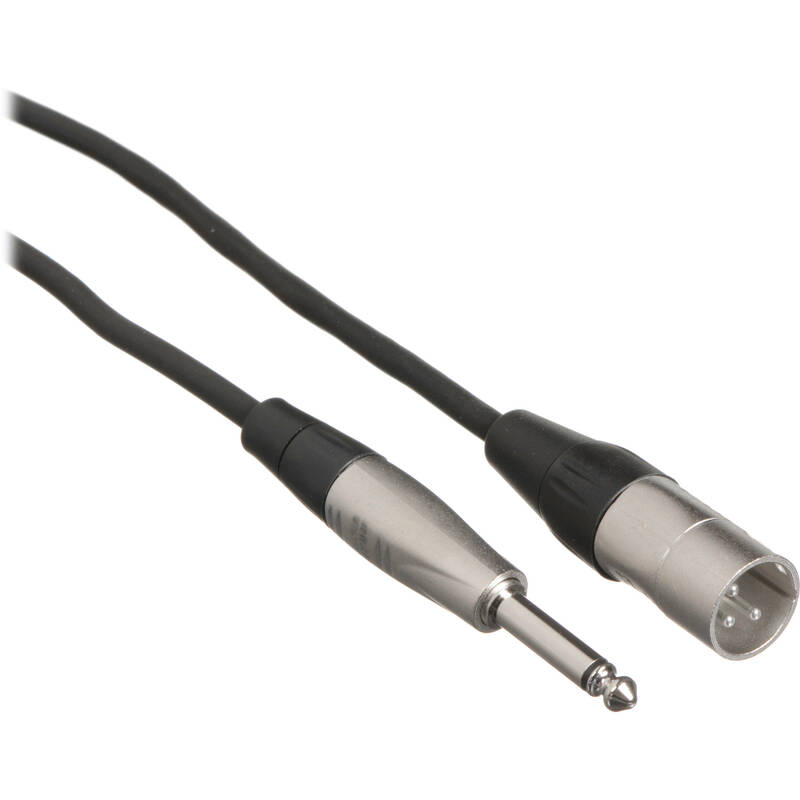 The HPX-020 Unbalanced 1/4" TS Male to 3-Pin XLR Male Audio Cable (20') from Hosa Technology is a professional audio cable that is ideal for applications where a device with an unbalanced 1/4" phone output needs to be connected to a device with an XLR input. The cable has top-quality REAN connectors for excellent durability and superior signal transfer. The conductors are made from 24AWG oxygen-free copper to maintain a clear signal path. The cable also has 90% OFC spiral shielding for terrific flexibility and effective EMI and RFI rejection. The cable is 20' long and has a 1/4" TS male phone connector at one end and a 3-pin XLR male connector at the other. Note: For best results, the high output impedance should be matched to the low input impedance. Box Dimensions (LxWxH) 9.6 x 3.7 x 0.9"
HPX-020 Unbalanced 1/4" TS Male to 3-Pin XLR Male Audio Cable (20') is rated 5.0 out of 5 by 3. Rated 5 out of 5 by Srully from Durable & Quality If you're looking to get a Durable for every day use. don't look any longer... Hosa is the leader! and remember B&H is the place your gonna get them. Great service and great pricing and over all super fast shipping!!! Thanks B&H. You're Great! Rated 5 out of 5 by Lakesound from Good Quality Cable I got this to go straight from a guitar to a mic channel input on a board. I was concerned about potential hum, but didn't get any. It works fine! Rated 5 out of 5 by Srully from High Quality Cable Use them with my speakers. Very satisfied!